I have a scene that I have been working on. The scene consists of two characters. One character is sitting and the other is standing. I am trying to get the sitting character to look at the standing character who is speaking to him. I want his eyes and head to move slightly following the standing/speaking character who is not moving very much. 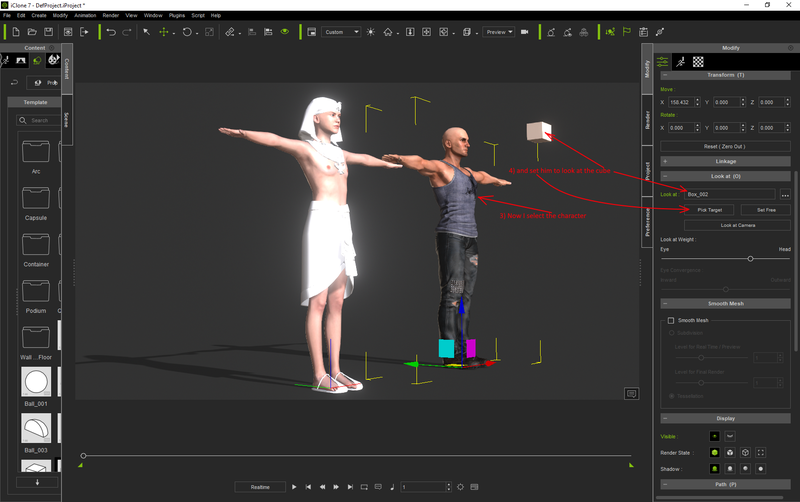 I tried the "Look at" command, but I am unable to parent the sitting character to the standing character. 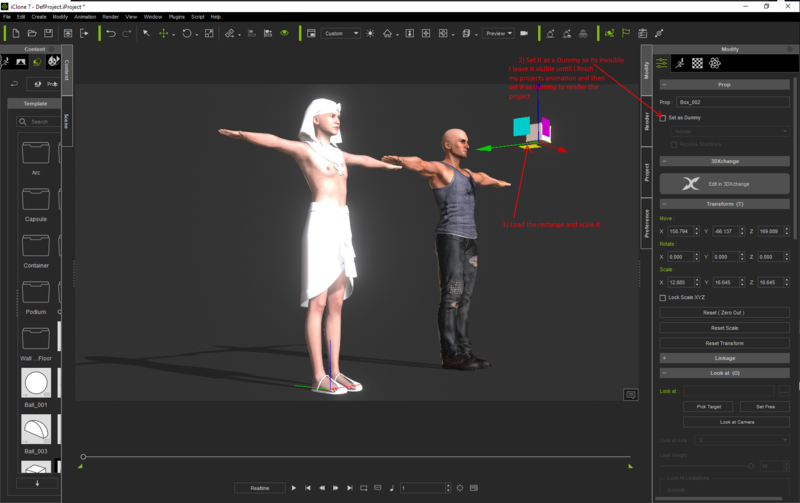 I tried creating a small box/dummy and attaching it to the standing character's head, but I am unable to link it although I can get the sitting character to look at the box/dummy. I've searched the forums and old iClone 6 YouTube videos and still can't figure it out. Any advice/solution would be greatly appreciated. I think, you can't catch 'transition area'. Thanks for the reference, but I am still unclear if a can get one character to look another using the "look at" selection. Hi. Along the lines of what you have said. 1) add a cube for each character you want to control what they look at. Especially when you want to change what they look at as the animation progresses. 2) Set the character to look at the cube you loaded to control what that character looks at. Here is my first attempt at using this method with 3 characters talking and changing who they look at as they talk. This was just an experimentation project I did for controlling what characters look at. I do not understand what you are doing. What tools do you use? Choose a head and everything will work. Maybe your avatar is incomplete?